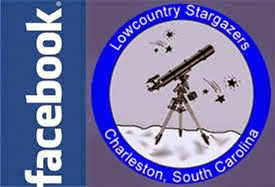 The Lowcountry Stargazers will hold their next meeting on Thursday, December 6th at 7pm, at Atlantic Aviation, 6060 S Aviation Ave, North Charleston, SC 29406. This may be a better representation of our meeting location. We will have a presentation on the history of astronomy. Hope you can join us!